Prepare these potatoes the day before, then pop them in the oven about 30 minutes before serving time. Scrub potatoes; pat dry. Heat oven to 425 F.
Pierce top of potatoes with a fork. Bake for about 50 minutes, or until potatoes are tender. 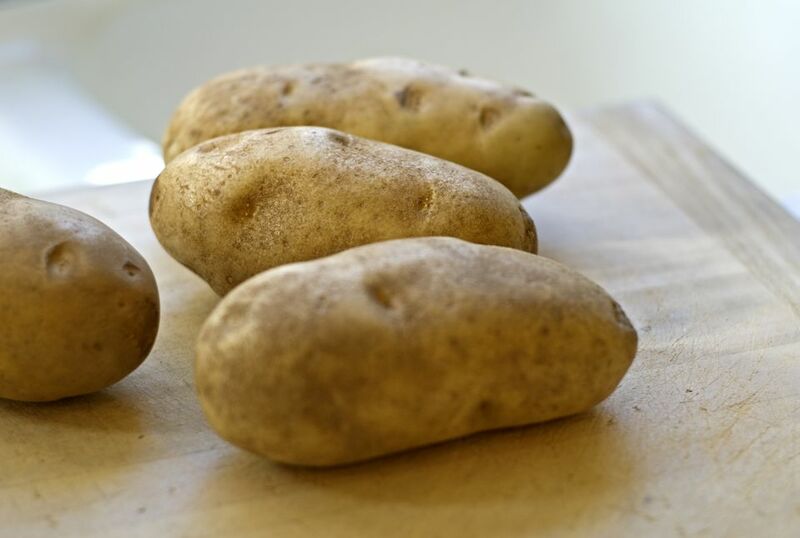 Remove a thin slice from the top of each potato and scoop out most of the potato into a bowl, leaving the skin intact. With an electric mixer on low speed, beat the potato with 5 tablespoons of the milk, butter, salt, and pepper. Add a little more milk, as needed. Spoon potato mixture into the potato skins; sprinkle each with Parmesan cheese. Arrange the stuffed potatoes in a single layer in a baking dish; cover and refrigerate for up to 1 day. Heat oven to 375 F. Bake potatoes for 20 to 30 minutes, or until potatoes are hot and tops are lightly browned. Sprinkle with fresh chopped parsley, if desired.